Unlike alcohol, there is no test that indicates if a person is currently under the influence of marijuana, which makes it more difficult to manage. For Massachusetts employers, marijuana is a potential minefield. The drug is about to become more widely available as recreational sales start next month, yet many companies have no plans to stop screening workers for pot. But in doing so, businesses could open themselves up to lawsuits from workers who claim the test is discriminatory or who, with easier access to cannabis, use it to treat a medical condition without a doctor’s recommendation. Companies that persist in drug testing could find themselves losing potential employees to businesses that don’t, a real risk in a tight job market. Even Labor Secretary Alexander Acosta recently questioned whether drug testing made sense for employers desperate for workers. Further complicating the situation is that marijuana is still illegal at the federal level, so companies that do stop drug testing could face additional ramifications. Some Massachusetts employers have already started treating marijuana like alcohol, telling workers that they can’t use it at work or bring it to work, but other than that it’s fair game. And several large companies around the country have stopped testing for marijuana altogether, from a manufacturer in New Hampshire to assisted-living facilities in Florida to the nation’s largest auto dealer. But for safety-sensitive positions, where being stoned on the job could be dangerous, some employers will continue to conduct random drug tests, which, in effect, would bar employees from using marijuana on their own time because it can be detected in urine tests for days or even weeks after use. Patricia Begrowicz, president of Onyx Specialty Papers in Lee, has been grappling with the issue since recreational use of marijuana was legalized in late 2016. Begrowicz tests all new hires for marijuana and other drugs; she also conducts random, on-the-spot tests on the roughly 100 employees who operate heavy machinery, although they get a second chance if they test positive. Begrowicz, whose company makes products for analytical research, automotive parts, and other technical uses, doesn’t feel that she can stop testing workers who could get hurt, or hurt someone else, if they are impaired. And she doesn’t want to hold workers in office jobs to different standards by removing marijuana from the preemployment test. Still, she also doesn’t want to dictate what people do in their free time. And a positive test could be the result of smoking a joint over the weekend, not before work that morning. 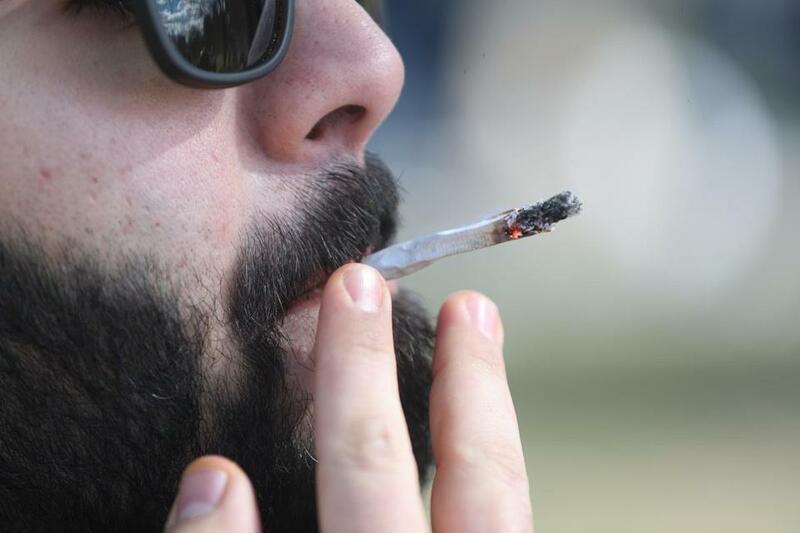 Drug use by US workers is at its highest rate in more than a decade — 4.2 percent tested positive last year, according to Quest Diagnostics, a major provider of workplace drug tests — driven in part by marijuana use. And with medicinal or recreational marijuana legal in some 30 states, it’s a dilemma more companies are facing. Nearly 60 percent of employers nationwide drug-test their employees, according to a Society of Human Resources Management poll, but in states where marijuana is legal, the numbers of those who screen have started to fall. In Massachusetts, 97.4 percent of urine drug tests included marijuana in 2016, compared to 95.4 percent last year, according to Quest Diagnostics. Similar drops were seen in Colorado and Washington, but it’s too early to predict if the declines will continue, said Barry Sample, a Quest toxicologist who oversees the company’s annual drug testing index. Those who do still test for marijuana have seen positive test results rise. In Massachusetts, positive results climbed 14 percent last year over the year before, while in Nevada, which legalized marijuana in 2016, they shot up 43 percent. The vast majority of US employers who conduct drug screenings test urine, which, for “proverbial potheads” can contain detectable traces of marijuana use for a month or more after use, Sample said. More casual users could smoke a joint on a Friday and test negative by Monday or Tuesday, he said. Marijuana use only shows up for 36 hours or so in tests on oral fluids, including saliva. Hair tests, the least common, detect a pattern of repetitive use. But unlike alcohol, there is no test that indicates if a person is currently under the influence of marijuana, which makes it more difficult to manage. In Oregon, where recreational pot has been allowed since 2014, a TV reporter lost her job in 2015 after she got into an accident in a work vehicle and failed the mandatory drug test afterward — even though, she said, she had used it on her personal time days earlier. In February, Maine went so far as to bar companies from refusing to hire or firing someone for marijuana use outside work, effectively preventing employers from doing random or prehire drug testing. But in May, the legislature revised the controversial law, once again allowing businesses to screen for off-duty marijuana use and discipline workers for testing positive for recreational use — although employment lawyers warn that there is enough ambiguity over this point that companies should proceed with caution. In some states, a medical marijuana card may not even be enough to protect workers. A customer service representative at a satellite TV company in Colorado was let go in 2010 after he failed a random drug test. The worker, who has quadriplegia and consumed pot off duty to control leg spasms, sued, but the courts ruled in favor of the company. In Massachusetts, however, the Supreme Judicial Court ruled last year that companies can’t fire employees who have a medical marijuana card for using the drug. In deciding the case, which involved the employee of a sales and marketing firm with Crohn’s disease who failed the company’s drug test, the court wrote that antidiscrimination laws require companies to make reasonable accommodations for medical marijuana patients they employ. But the court didn’t explicitly address where the law stands if employers can prove there’s a business reason for prohibiting medical marijuana use, even outside of work, employment lawyers note. The court has also not dealt with the legality of an employee using marijuana to treat a disability without a medical card. And because the issue is so new, the SJC has yet to rule in any case involving the use of recreational marijuana and its impact on someone’s job. Drug testing could lead to racial discrimination claims if, say, fewer people of color are hired compared to white job candidates after failing drug tests, and the company is accused of screening out certain ethnic groups through its testing protocol, said Cambridge employment lawyer Eric LeBlanc. On the other hand, he said, more companies will likely start specifically prohibiting people from possessing or using marijuana on the job, especially those that employ drivers, because the drug is no longer covered under a general “no illegal drugs” policy. If a company drops its preemployment screening but continues to conduct random tests for safety-sensitive positions, there could be questions about which jobs actually fall into that category, and if it’s fair that those are the only positions subject to drug screening, said Tom Jones, vice president at AIM HR Solutions, a human resources consultancy within the Associated Industries of Massachusetts employer trade group. From what Jones is hearing, most companies that drug test are continuing to do so but are unsure how to proceed.